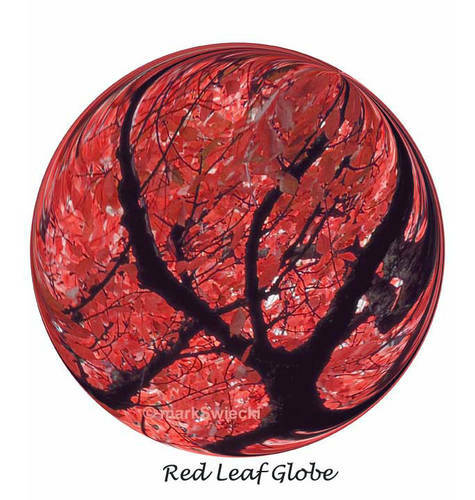 Brightly colored red leaves and a tree have been morphed into a glass globe. Love your glass ball set you have created here. Interseting and unique. Fun view.